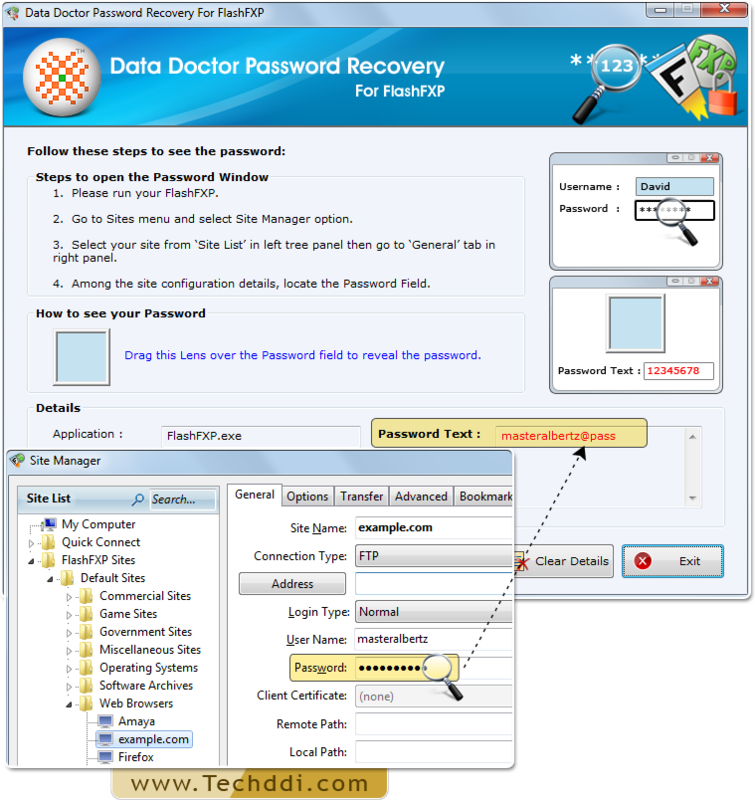 Password Recovery For FlashFXP enables users to restore forgotten or lost password from FlashFXP software in minimal time. 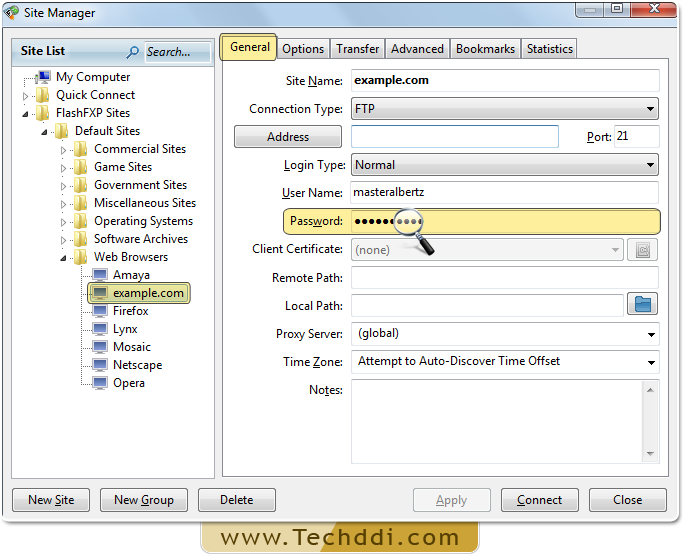 FlashFXP password recovery program provides instant recovery of multilingual, complex and lengthy passwords. Password retrieval using Password Recovery Software For FlashFXP. 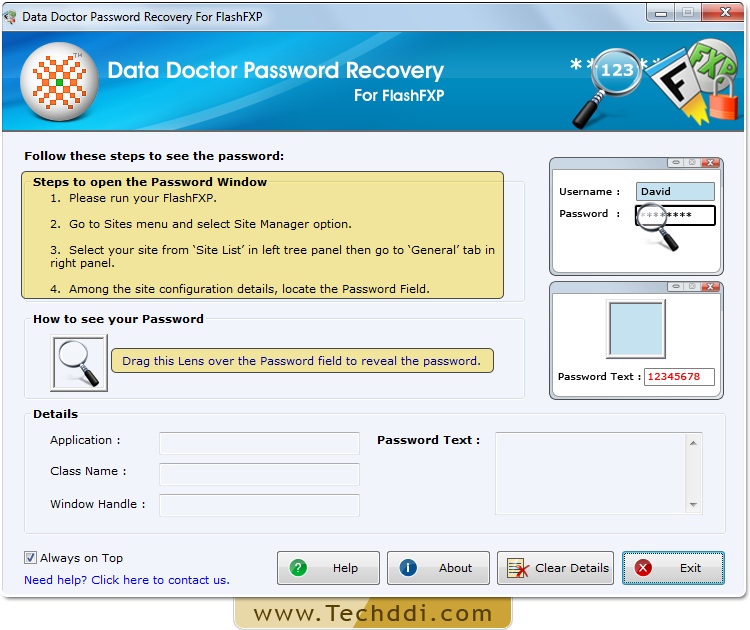 Install and Run Password Recovery Software For FlashFXP. Open FlashFXP Software and Go to ‘Sites’ Menu to select ‘Site Manager’ option. Choose your site from ‘Site list’ in left panel, then go to ‘General tab’ in right panel. Among site configuration details, locate password field by dragging lens over it.